News From The Other Side Of The Pond #13! 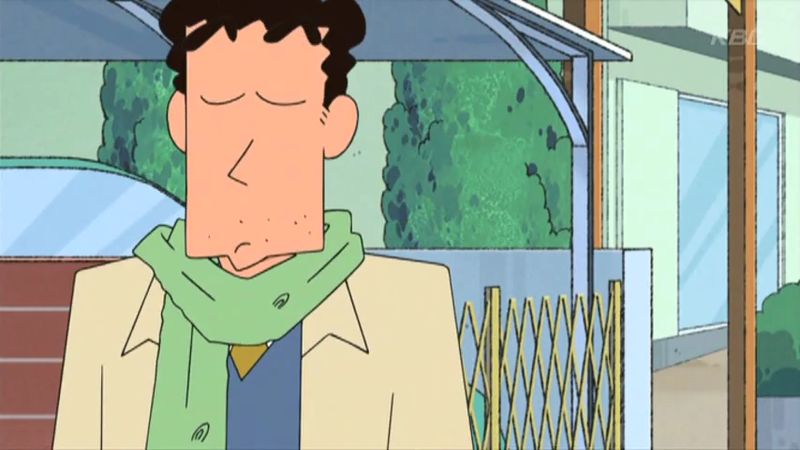 Toru Furuya Reprises Role in A Ramen Commercial? Some say it was bound to happen. The Nissin Freedom Project reminded us a lot of other anime series, mainly Gundam, Evangelion and Eureka 7. Now we have learned of a new crossover between Nissin and the Gundam series, wherein Gundam characters revel at the sight of a bowl of noodles after being starved from fighting their battles. The noodles are inserted into memorable scenes from the first-ever Mobile Suit Gundam series. 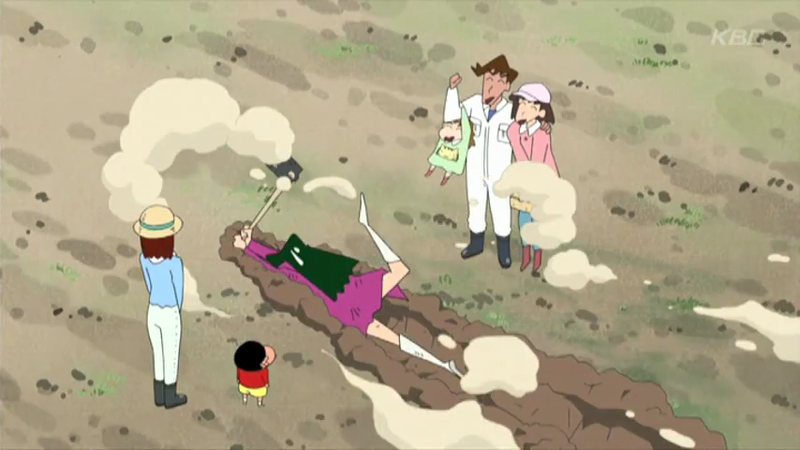 Toru Furuya (Tuxedo Kamen) reprises his role as Ray Amuro, who can be seen here (left side) joyously relieved after seeing a floating bowl of noodles in space, before his delusion causes him to fall out of his spaceship. Banjou Ginga also reprises his role as Gihren Zabi in the commercials (on the same page as above, but on the right). We find it funny the lengths some Japanese companies will go through to have their products appeal to the masses – we couldn’t help but laugh at the randomness of the noodles that floated in space. Ai Nonaka is 26 years old, but has dreamed of being an actress since she was very young. In high school, she was the head of the drama club and dreamed of playing the male roles in the famous Takarazuka Revue. However she was not tall enough for an audition there, and turned to radio acting school. Today she is both a singer and a Seiyuu, and sat down with Famitsu for an interview. She revealed that she was inspired by the performances of Megumi Ogata (Sailor Uranus) who typically plays roles of women who are tomboyish, sometimes playing even boys and men. She even got to meet Megumi Ogata when she was a guest star on one of the radio shows that she was acting in, and stayed behind so that she could meet her idol. Ai says that while she is happy to have achieved her dream, she has very little time to herself. She has just added aromatherapy to her daily regiment to help relieve all the stress from being an actress and singing! 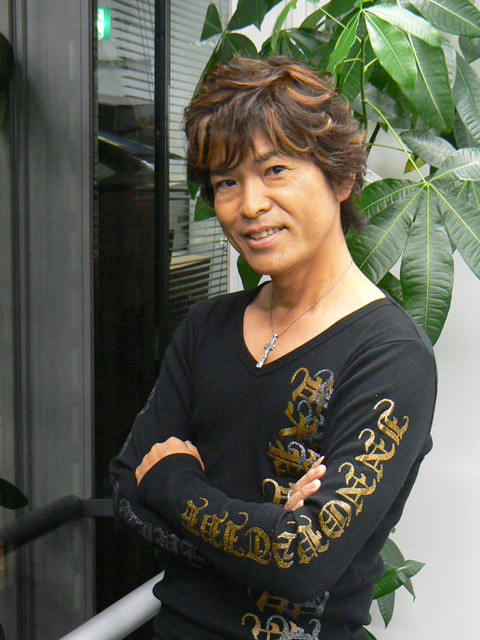 Ai Nonaka is famous for such roles as Shima Katase in Stellvia of the Universe, Konoka Konoe in Mahou Sensei Negima, and most recently, Fuko Ibuki in Clannad. New Gackt Album Inspired by Gundam! Japanese Rocker Gackt released a new album of covers from 0079-0088 Gundam Series on December 21st. Entitled 0079-0088 , the limited edition features narration from none other than Toru Furuya and Shuichi Ikeda. There was a party held that day in Kinokuniya to commemorate the album’s release, and Keiko Han (Luna and Queen Beryl) was in attendance. She once played the role of Lalah Sune on the series. A video message was also shown from Toru Furuya, who was in China for a cultural exchange on that day. 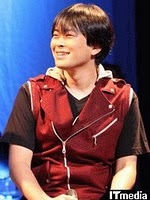 Fans looking to purchase either narrated version (Toru’s or Shuichi’s) or the normal version can click the links to find them on YesAsia.com. Jadeite and Artemis in Upcoming Anime! Masaya Onosaka (Jadeite) is set to voice the character Jade “J.D.” in an anime to debut this April, Neo Angelique Abyss. 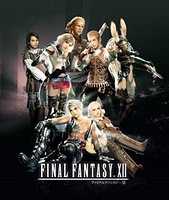 There will also be a video game out for Sony’s PlayStation 2 at around the same time. This one is a romantic, magical girl anime which continues from the previous series, Angelique. Angelique is now a Queen and must defend her kingdom from Thanatos, which has consumed many other societies around her in darkness. 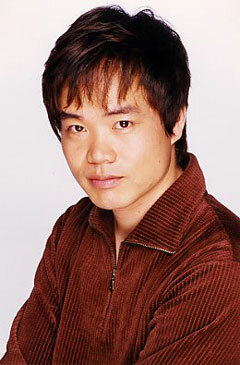 The show also stars Kappei Yamaguchi (PGSM Artemis) in the role of René. Jade is on Angelique’s side and wants to help so he can see lots of people smiling, however René is a very gloomy and devilish person. 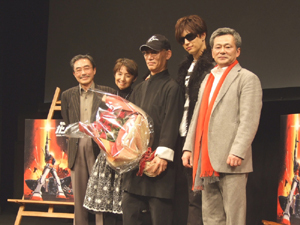 The series was created by Koei and is expected to be a big hit. As a producer! Aya, who is famous to us for playing Queen Beryl in PGSM , and to others for her “modelling”, produced a Kabuki show in Japan on the 23rd of December. She attended one of the classes to learn Kabuki, and found that it took a lot of energy ! She found the restrictive movements difficult, and admired the 12 women for their grace and persistence in the art. For those of our readers who are unaware what Kabuki is, it is a style of dance drama that is usually performed by females, though in recent history some men perform it as well. They are usually short comedic plays based on stories along the walk of life. The performers always wear fancy kimonos and a lot of makeup when they perform these on stage. Mika Kanai (Mimete) put on quite the show at the Suchi Pie Christmas Special December 16th! Despite recent news of her divorce, she sang alongside several maids and put on a very successful concert along with the rest of the cast of Suchi Pie. When she came to perform, not many people knew that it was her, since she rarely appears in public, let alone even to sing. She sang You And Me , the second ending to the most recent video game of the series, Idol Sparrow Suchi Pie IV. Mika also serves as the voice of a character in this game, Misaki Kyoko. 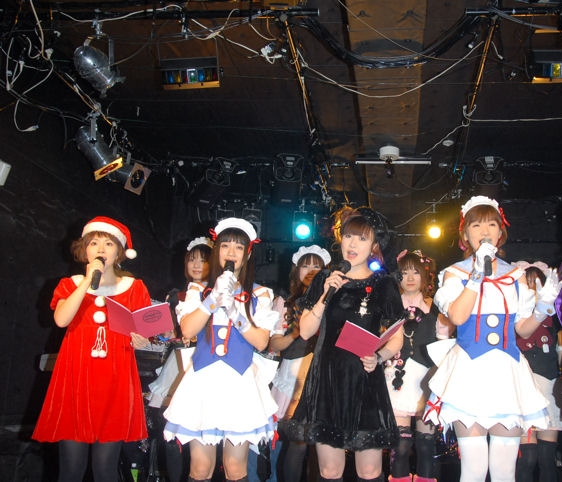 Rika Fukami (Sailor Venus) plays the role of Nanjou Rie, but she was not at this event. Mika was supported by a chorus of girls dressed up as café maids, which serve as the premise of this game. She came dressed in a cute black elf costume and sang with lots of enthusiasm! This game is unique because it was formatted for the home market, and is based on the popular Asian matching game of Mahjong. Fans can check out some more information about the series here. As of this writing, we have not heard if this game will be released here. Masaya Kikawada to Appear in Chronic Complainer! Chronic Complainers is a short TV Movie that is set to air January the 6th on Fuji’s Tokai TV. It is about life in a department store, specifically the complaints that are received at the returns counter. The department store is 140 years old, and has an aging management that has to deal with a variety of occurrences at the store, such as a drunk person who passes out while shopping, and not wanting to have to reimburse a customer for a faulty piece of kitchenware – that should be the manufacturer’s job! It looks like it will be a heartwarming comedy about the skills needed to cope with such a job, as well as the relationships among the workers. 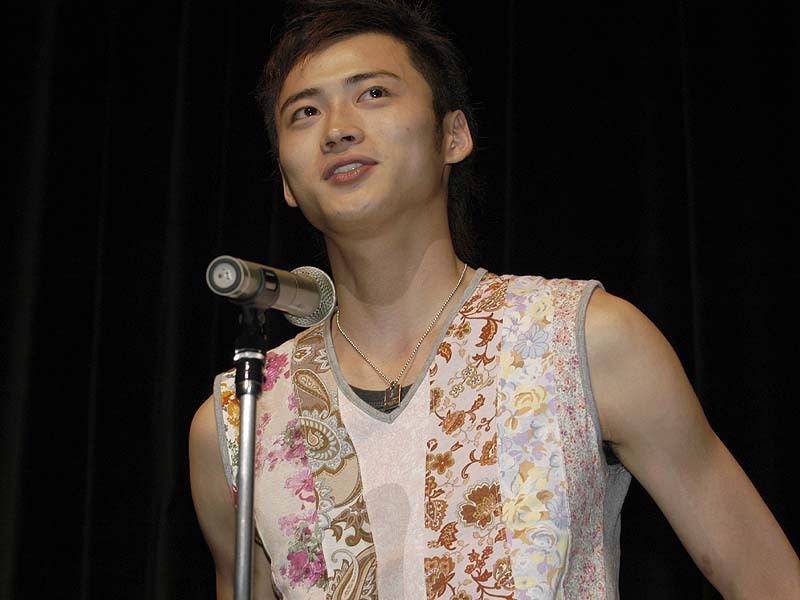 Masaya Kikawada (PGSM Motoki) plays Eren Tatsuya, a clerk at the store. And thus ends our last article of the year! Thanks for a great 2007! Fifteen Entries already? It seems like only yesterday this feature began. This is probably our last week of “catch up entries” when it comes to commercials, we have 56 for your enjoyment! 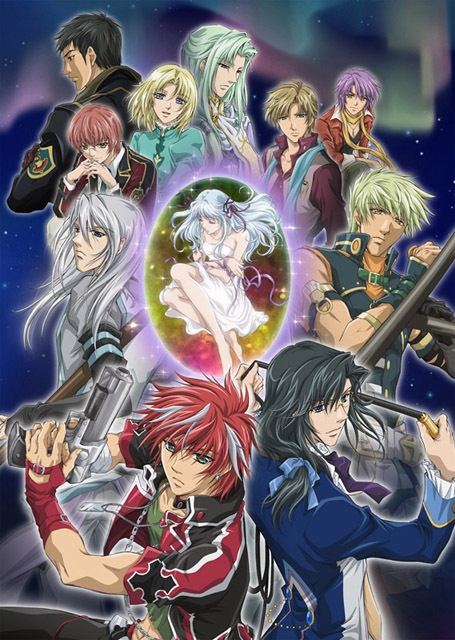 Of course since this blog is Sailor Moon related, we have to have this as our top pick of the week – a trailer for the new Aquarion movie in Japan! And it practically serves as a mini-reunion for the Sailor Moon Seiyuu as there are a lot of former ones in this movie! Leading this horde is Masaya Onosaka (Jadeite) as Pierre Vieira, and the others include Daisuke Sakaguchi (various minor roles) as Jun Lee, Mako Hyoudou (Amanju) as Otoha, Nobuo Tobita (Pupuran) as Jean-Jerome Jorge, Sakiko Tamagawa (Princess Kakyuu) as Sophia Belin, Toshiyuki Morikawa (Yuu Azama) as Touma, and Unshou Ishizuka (Sailor Chef) as Gen Fudou. And then there was also this notable from Fuji-Q Amusement Park! 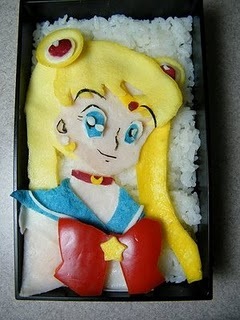 We have lots more , especially for you J-pop fans so here come the rest! ☼ Nerdy Teenagers in an Acne Commercial! ☼ Japanese Aflac Commercials 1 and 2! ☼ Coca-Cola is for sharing! ☼ Docomo 2.0 Commercial – we mean no offense to Toku Fans! ☼ Docomo 2.0 Office Commercial! ☼ Essential Damage Care with Honey! ☼ Jessica Alba says hello to fans and wants them to go see Fantastic Four: Rise of the Silver Surfer! ☼ A Green Juice Commercial that practically reads like an infomercial! ☼ WARNING MAY BE A LITTLE NSFW! Meganest! ☼ NEC with Intel’s Core 2 Duo! ☼ Puffy wants you to Fly Panda with ANA! ☼ Nissan X Chemical Brothers! ☼ WARNING MAY BE A LITTLE NSFW! DJ OZMA’s Spiderman! ☼ Success! Medicated Shampoo for Men! ☼ Suntory Boss Rainbow with Tommy Lee Jones! ☼ Ayumi Hamasaki’s Latest Power Single, Talkin’ 2 Myself! ☼ Princess Kaguya endorses Vitamin C Pill! News From the Other Side of the Pond #2! Junichi Sato to Supervise Animation of New Series! Junichi Sato (Director of the first season and the Doom Tree/Makaiju Saga) is set to supervise the animation of Rental Magica based on a shounen light novel (made for boys) of the same name. From what we have read, it’s a story about a student of the secondary school Italy Garden who becomes the president of the second generation of a well known agency of magicians. These magicians lend all sorts of magic to each other like divination, Celt magic, dark magic, and astrology. The author of this 9-part series is Makoto Sanda, who has also written a light novel series called Scar/Edge, which supplemented a tabletop RPG called Double Cross. Makoto will be editing the scripts along with Fruits Basket writer Mamiko Ikeda. Aya Hisakawa in New Anime! Aya Hisakawa (Sailor Mercury) can be heard in El Cazador de la Bruja (The Witch Hunter) which is on the air in Japan as we speak! She plays Jody Hayward aka Blue Eyes, a woman who works in accounting at the CIA. She wears a special Philosopher Stone around her neck which may be important later. This series tells the story of Ellis, a girl who is suspected of murdering a prominent physicist. She is on the run when she is discovered by the bounty hunter Nadi, who instead of turning her in, takes her on a journey to find clues to her past! The Bee Train show is the third and last member of director Koichi Mashimo’s “Girls with Guns Trilogy” (the others are Noir and Madlax) and is turning out to be a hit! Blockbuster Paprika to hit North American Cinemas soon! 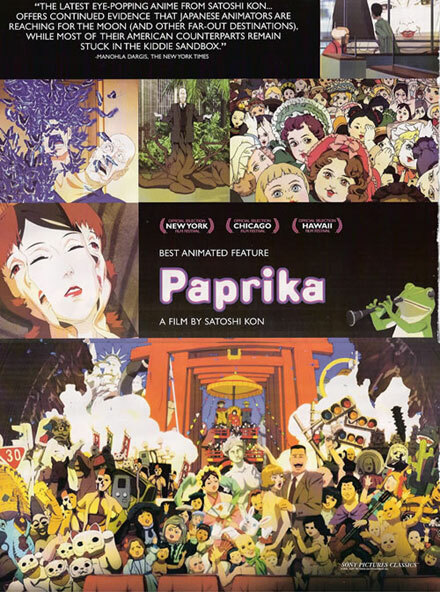 Satoshi Kon’s Paprika is the latest anime to be garnering a lot of buzz from critics in Hollywood! The feature is about 29 year-old Dr. Atsuko Chiba, a psychiatrist who uses her 18 year-old alter ego Paprika to enter the dreams of her patients to discover the roots of their anxieties or neuroses. At her lab, a new technology device has been developed to allow a person to enter the dreams of another – however if misused, an entire personality can be wiped out and changed while they are asleep! One of these four devices has been stolen and it is up to Paprika to find it before people are destroyed! Once again there is a blend between reality and the dream world, much like what we had seen in Kon’s earlier masterpiece, Perfect Blue. This movie is based on the groundbreaking novel of the same name by Yasutaka Tsutsui. Sailor Moon fans are treated to not one but two seiyuu in this film! Megumi Hayashibara (Himeko Nayotake) plays the starring role of Atsuko Chiba/Paprika, and Toru Furuya (Tuxedo Mask) plays Dr. Tokita Kohsaku, a colleague who is a nerdy, overweight genius! So far the release is limited and has popped up at a few film festivals in the USA, but as with all limited release anime, we suggest fans wanting to see this go pester their local indie cinemas to bring this film to their city. In our experience, we’ve found most times management is really receptive if the movie is popular! Jedite Heard in Fighting Game! A popular title for the PS2 in Japan is Musou Orochi , a crossover between Dynasty Warriors and Samurai Warriors. This was released March 21st of this year. The evil demon Orochi has disrupted time and space, and the heroes of these two games unite to defeat the demon and restore the universe! The game has four stages set in the Three Kingdoms Period of China , each stage based on a force (Shu, Wei, Wu, Sengoku). Masaya Onosaka (Jedite) plays Chouun and Shokatsuryou in this game. 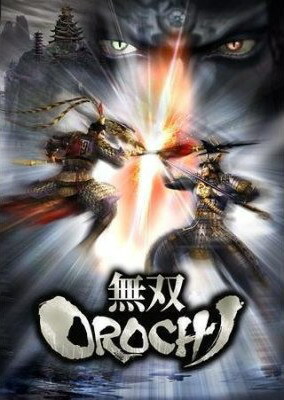 Koei is set to release this for the PS2 and XBOX 360 sometime in Fall of 2007, and the game may be titled Orochi Warriors. Sailor Venus is Everyone’s Favorite Viera Warrior! 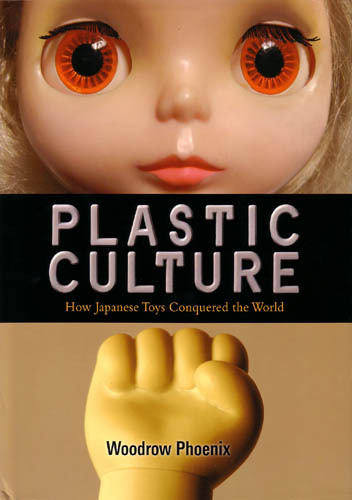 And to close, A book called Plastic Culture: How Japanese Toys Conquered the World has just been released outlining the influence of Japanese toys (such as those popular gashapon figures) on toys around the world! The book goes into the history of the influence, from dolls and figures to toys given out with meals at fast food restaurants. Editors of the book say: “Plastic Culture explores the world of toys: why we love them, what they represent, and why there is a growing market for “designer” and “art” toys aimed at adults”.